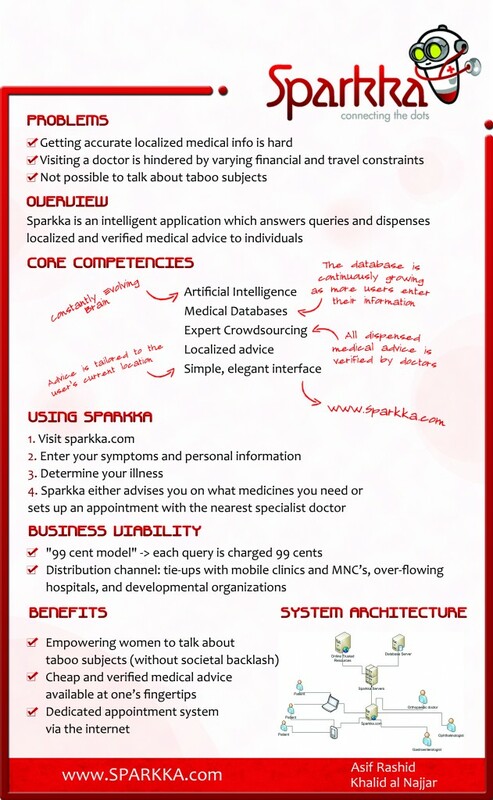 Sparkka, a project developed for Microsoft Imagine Cup 2012, which is an application that answers medical queries and dispenses localized medical advice to patients and seekers of medical advice via its rich database and easy-to-use interface. Below is a poster explaining the key features of Sparkka. The project won the third place among United Arab Emirates and was featured in BBC Arabic.